Today's star is Western favorite Warren Oates. 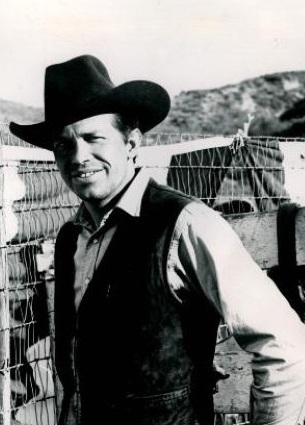 TCM is celebrating the career of Warren Oates with 13 movies on Aug. 24. Here's what you need to know about an actor who collaborated with director Sam Peckinpah several times. FYI: TCM sometimes changes the air times and /or movies, so you can go to www.tcm.com to check the updated schedule. Born: July 5, 1928, in Depoy, Ky.
Died: April 3, 1982, in Los Angeles. His ashes were scattered at his Montana ranch. Brief bio: Oates grew up in rural Muhlenberg County Kentucky as the son of a general store owner. Oates became interested in acting after a stint in the Marine Corp, and he appeared in several plays while attending the University of Louisville. Oates moved to New York City and then L.A. in the early 1950's, where he quickly got work as a television actor, especially on Western TV shows like Gunsmoke, The Big Valley, and Rawhide. He met director Sam Peckinpah while working on The Rifleman ( he appeared in five episodes of that show), and when Peckinpah began making feature films he brought Oates along with him for stellar parts in films like The Wild Bunch (1969) and Bring Me the Head of Alfredo Garcia (1974). Oates also branched out into other genres starring as the notorious gangster in Dillinger (1973) and a tough drill sergeant in Stripes (1981) before his untimely death from a heart attack in 1982. 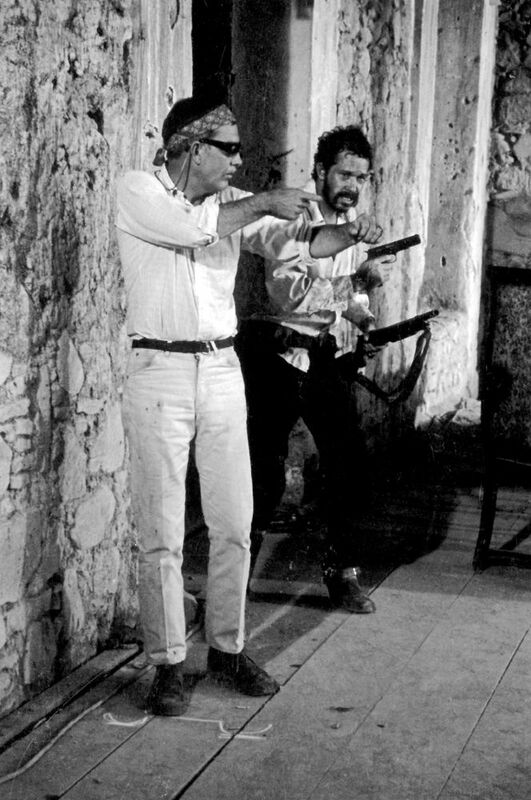 Sam Peckinpah gives Warren Oates direction on the set of The Wild Bunch (1969). Fun Fact: Oates appeared on two episodes of The Twilight Zone: The 7th Is Made Up of Phantoms concerns modern National Guard troops who are transported back to Custer's Last Stand, and The Purple Testament is about a World War II officer who has premonitions about the death of his troops. 1.There's going to be plenty of prime Peckinpah today starting with Ride the High Country (1962), airing at 9:30 a.m. This is an early Peckinpah-Oates collaboration, and for my money, it's one of the best Westerns ever made. It concerns two aging gunslingers, played by Western veterans Randolph Scott and Joel McCrea, who are trying to transpor a load of gold. 2. Bring Me the Head of Alfredo Garcia, airing at midnight, is one of the few times Oates played a leading role. Here he is a down on his luck musician who is looking for corpse of a notorious Mexican criminal. 3. The Wild Bunch, airing at 2 a.m., is a seminal Western that changed cinema through its graphic violence and its quick-cut editing style. Oates plays one of the members of gang of outlaws led by William Holden. A great movie not featured during Summer Under the Stars: Oates is really great in Dillinger, but I'm going to stick with the Peckinpah pack, and pick Major Dundee (1965), a movie starring Charlton Heston as a psychotic Union cavalry officer who gets a ragtag group of men together to kill Apaches. Oates plays a former Confederate officer who joins forces with Dundee. Old Hollywood video: Here's a clip from Peckinpah and Oates' first collaboration on The Rifleman. For more Summer Under the Stars articles, go here. There'll be plenty more on Oates on social media. Follow me on Tumblr, Google+ or Pinterest or like us on Facebook. Follow us on Twitter @oldhollywood21. another overlooked film is "Two Lane Blacktop"